As the day quickly passes by, I realize that I've spent most of it staring out the two huge windows that sit in front of my desk. The snow has been falling since the early morning hours, and I've watched it go from a dusting to at least half a foot so far. I love watching the snow fall. It's one of the things I love most about freelancing. I don't have to worry about a treacherous commute. I don't even have to shovel the snow. If I wanted to, I could sit inside, sipping hot cocoa and watching the snow fall all day. And today that's exactly what I did. In light of this semi-"lazy" day, I don't have any particular insights to share about the writing life. Instead I'd like to kick back and enjoy the perks freelancing has to offer. 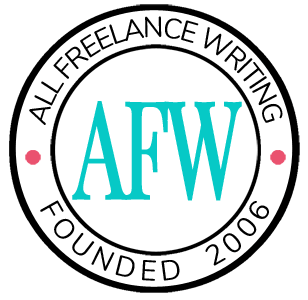 Here are some aspects of freelance work that most appeal to me. 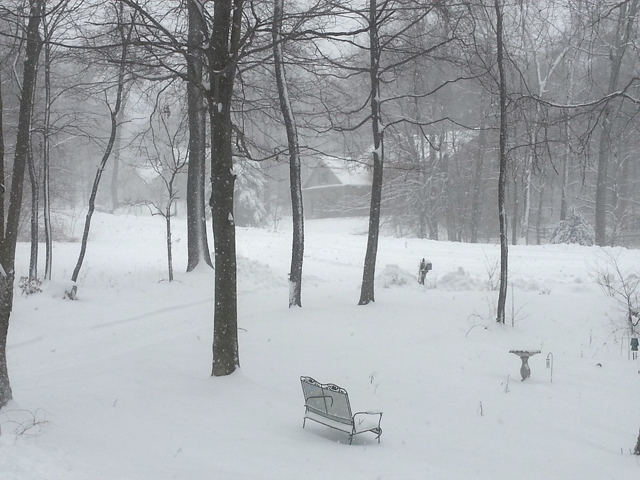 The view in front of our house on a snow day. Hot cocoa. Warm slippers. Hardly a care in the world. Freelancing lets me enjoy all the cuteness my "fur children" have to offer. 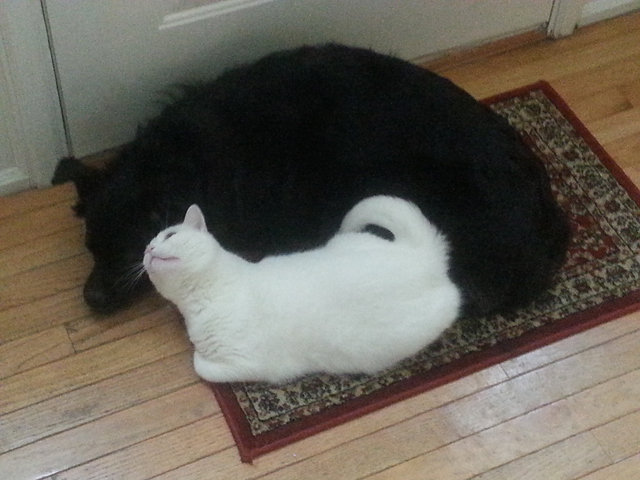 Sophie (our white cat) has claimed Aggie (our pup) as her own. She constantly snuggle-bombs her while she tries to sleep. One reason I went into business for myself was to have a stable business at home before I had kids. These little ones offer plenty of distraction for now. Having plenty of books and a comfortable place to read is a wonderful perk of freelancing. And yes. I know the shelves look bare. This photo was taken when we had to thin them out when we put the house on the market. 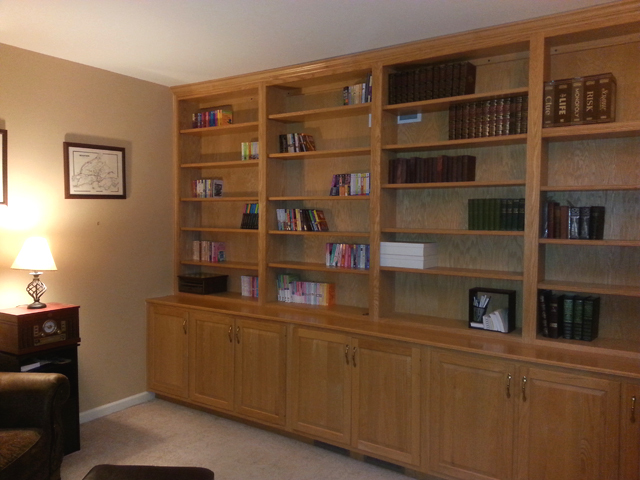 I'm happy to say most of the books are unpacked again and shelves are pretty full. And we have only a dozen or so more boxes of books to unpack. With these and my husband's shelves pretty full, we're still trying to figure out where to put them all. You can never have enough books! Another thing I love about freelancing is the freedom. Because I'm able to take off on Fridays, long weekends are much easier to take. 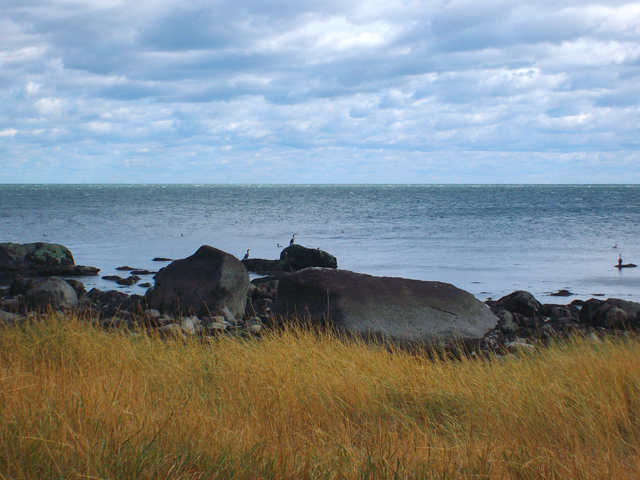 I took this photo on a small island off a Connecticut town my husband and I try to visit each year. Mini getaways are sometimes more relaxing than full-fledged vacations because we can just pick up and go without a lot of planning. What about you? Why do you love freelancing? Time with family and friends? Being able to sleep in? Having flexibility that allows you to pursue other interests? Are you enjoying a snowy day today too, or does snow still mean a lot of extra work for you? Tell us what you love most in the comments below. Yes, to all of the above! It comes down to freedom for me, too. In addition to doing what I want, when I want (within reason), I thrive on partnering with clients and peers I choose to work with; that’s not usually the case in an office. The ability to exercise, do yard work, golf, or just play hooky is icing on the cake. My kids are in high school now, with one graduating this year and one next. I quit my last-ever corporate job when they were in preschool, so I got to know them far better than I possibly could have being in an office 7-7…and coming home tired and cranky most of the time. Sure, there were sacrifices along the way, but I wouldn’t trade them for anything. That’s my hope with kids too. While my hubby has a full-time job in addition to his own business, he hopes to also be working from home full-time by the time we have kids who are ready for school. If I don’t have to miss out on a lot because of work, then I don’t see any reason to. Love the cat and dog pix! Might even show it to MzTiz – she’s a loner and loves it that way, snarling at any other cat. Yes, all of the above… and the ability to take naps in the middle of the day. Not sure which I love more, the snowfall photo or the snuggling beasties! I have three dogs in the house right now – my dog and my sister’s two dogs. They’re all getting up there – 12, 14 and 15. At 14, my dog is the peppiest, but the 15 year old is the dog who stll loves toys. The 12-year old naps so much you have to wake her up for bedtime. It’s supposed to snow today so we’re having a contest: the first dog to alert me to falling snow gets a treat. Can’t you feel the excitement? I couldn’t handle all three dogs if I didn’t work from home. My own dog — the same one who usually leaves any room I enter, unless I’m holding something she perceives as food — has a bit of separation anxiety if I’m gone more than five or six hours. That’s something people who aren’t self-employed don’t get. They always say they couldn’t deal with the uncertainty…but I’d rather wonder how to bridge one month’s worth of bills when a client doesn’t pay on time than depend on a salary that could disappear with little if any notice. I agree, it’s wonderful not having to worry about losing your job like traditional employees do. My hubby lost his job at the end of 2012 due to cutbacks, and it was scary for him at first. He was lucky and found another, better, job right away. But I think that was a big factor in him deciding it was the right time to go into business for himself part-time. It’s so much more secure to spread your income out, contrary to popular opinion. So many people these days are in positions like that of your neighbor. They can go for months without a job offer. It’s a scary time to have to rely on a single employer. I love the freedom to work by myself–I’m less distracted & I’m more focused. I also love being here for my kiddos. Yesterday’s snow & tomorrow’s promised ice storm means school delays and days off. And I don’t have to worry about childcare or unhappy bosses etc. That’s an excellent point about childcare! It must be nice not having to figure out who can watch the kids when they’re on a snow day or being forced to lose a full day of work to stay home with them. I know you’re not too far west of here. Are you expecting snow, or just the ice? Last I heard the snow was coming tonight and the ice in the morning (just to make it more difficult to clear of course). I’ll second Jake and say all of the above. Freedom is the number one word that pops in my head. No commute is one of my favorites. After spending a couple of my corporate years working in downtown Los Angeles, I cannot appreciate the lack of commute any more than I do. I love that my hours are my own. I love the flexibility of being able to be there for my mom or to adjust my long walks to what’s best for the day and to not have someone gossiping about what I am doing. I love that I can walk away (or sign off) from all the political back-stabbing garbage that goes on. Just like Wendy mentioned the benefit of being around for childcare when necessary, you have another excellent case in taking care of your mom. And you’re spot-on about office politics. That’s actually why I left the nonprofit scene and started my business (after a lot of thought, but ultimately a sudden decision to “just do it”). For me it’s about the freedom. I love being able to take off a few days to a few weeks at a time, and I love being able to live wherever I want. The latter is a biggie. I’ve lived in some very beautiful places: Kauai, California’s north coast, Mount Shasta in far northern California, and now Ashland, Oregon, the coolest town in the West! I love not having to go outside in the cold! I love all those things! My priority right now is taking care of my daughter. She was a great “excuse” to finally quit the 8-5 and make my own schedule. Of course, she makes my schedule for me… I thought I was going to be rid of bossy bosses, but she’s the bossiest boss of all!